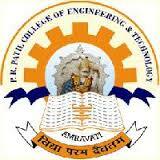 P. R. Pote (Patil) Education and Welfare Trust's, College of Engineering & Management Amravati, is an institute where discipline and punctuality with conducive environment will provide quality education development in frontier areas of engineering and technology. PR Pote Education and Welfare Trust College of Engineering Management, Amravati offers various graduate courses as well as Post Graduate courses. PR Pote Education and Welfare Trust College of Engineering Management, Amravati is affiliated to Sant Gadge Baba Amravati University (SGBAU), Amravati. List of facilities available at PR Pote Education and Welfare Trust College of Engineering Management, Amravati for students.